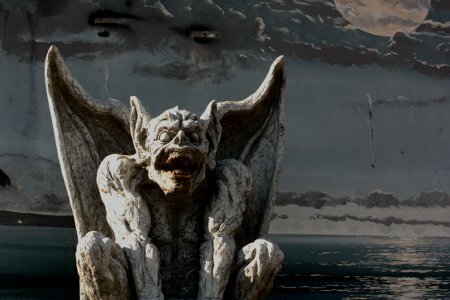 This is a Gargoyle photo taken at the Santa Cruz Boardwalk. Although a little cartoon like, we used the Cartoon filter to really turn it into a cartoon. The following photo shows the cartoon filter applied. It provides more definite outline to everything in the photograph.